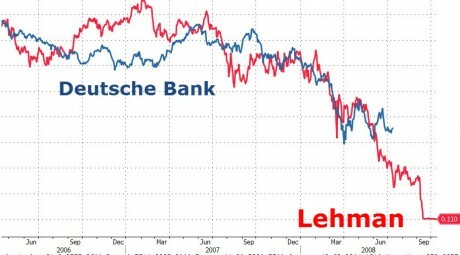 You are here: Home » News » Financial News » May 2016: Will Deutsche Bank Survive This Wave Of Trouble Or Will It Be The Next Lehman Brothers? Only thumbs up for you Michael ! Lines up with what David Wilkerson has stated. Michael–love your zeal and passion for what the Lord has you share. You have been a guest in our living room many mornings on the Jim Bakker Show. You get a lot said in a period of time and speak in a language that I can understand. Will be buying your new book, “The Rapture Verdict” and reading it to our Pastor. When do you think we might see the dreaded “Bail-Ins”? After Memorial Day? My next door neighbor is a conductor who works for Burlington Northern Railroad up here in Northwest Montana. He has been laid off for many months and recently told me it looks like he may NEVER return to work; as only those with much seniority above him have any hopes of future employment with B.N. 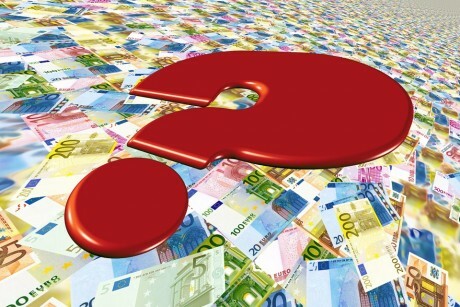 due to many factors such as coal, lumber, and oil production etc..
i make no claims of having any savvy in the financial sector, and I don’t know for sure what’s ahead for the world; but I DO know where MY provision will come from! Matthew 6:31-33 Therefore take no thought, saying, What shall we eat? or, What shall we drink? or, Wherewithal shall we be clothed? 32 (For after all these things do the Gentiles seek:) for your heavenly Father knoweth that ye have need of all these things. :33 But seek ye first the kingdom of God, and his righteousness; and all these things shall be added unto you. What a wonderful peace to know we are in his hands, and that although there is persecution, trials, and tribulation coming our way, we can trust him to always be faithful to his Holy Word. Congratulations again on your enlightening and informative new book “The Rapture Verdict”. Anyone who could read it and still cling to the notion of a pre-trib rapture would have to be dangerously hardened against the voice of God’s Spirit. Michael, great article. I am short on DB and several other large banks. thankyou for sounding the alarm and helping others see things more clearly. God bless you and your wife. I avoided Deutsche Bank puts because the prices are already jacked up way too high to get decent leverage. I bought BAC puts very cheap. You can get them right now for about 2 cents per share. I have put on DB July 15 for strike at 55. Right now they are cheap. But I think July might be too early some seem to think sept. When the markets go down on this first slide. I think these will go up. Then I will sell and buy back when the market starts going up again for sept. I also have BAC for July at $11. Same advice on that one. I hope this has helped. The banks have gone opposite of what I thought the timing would be. Just last week I was up almost 50% should have sold. Now I’m down about 60%. Ole those are the three I have. I bought a few more today . BAC is only .03 cents. JPM is about .22 and JPM is .25 that’s about half what they were last week. Michael I just watched your powerful message on the Jim Baker show this morning. Brother Wilkerson was a true man of God if there ever was one. I love his vision of the end-time Church. I have it posted on my site if you would like to read it. It’s called The Last Revival; and it is an awesome word! Is something pointing to this date, today May 25th? Thanks, Michael. I always like reading your articles. I remember listening to audio recordings of David Wilkerson. I haven’t read any of his books, but I’m sure they would be interesting. Read “The Vision.” Wilkerson talks all about the coming economic collapse, along with other prophetic events the Lord showed him would happen in the future.